Entrepreneurship is such a buzz word for Filipinos. When you hear it, almost all would say: “Yes. I want to be an entrepreneur. I want to have my own business.” But what really is entrepreneurship? 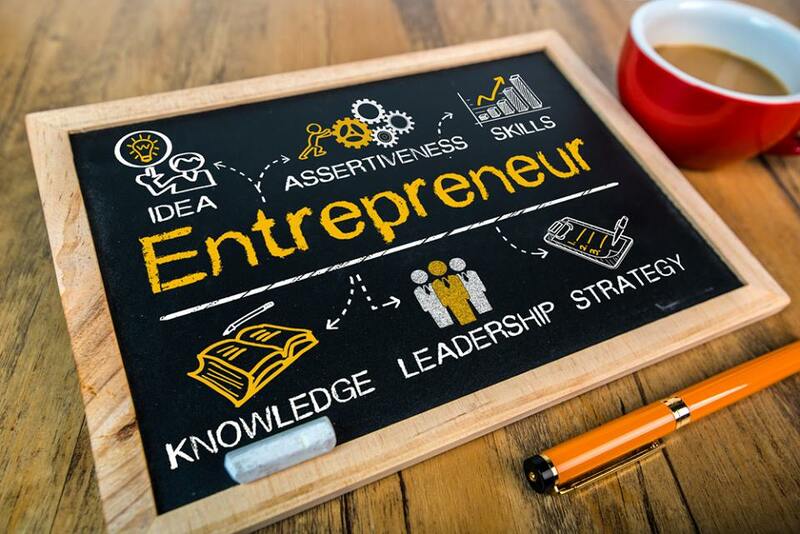 In this article, let’s find out what it means, its advantages and disadvantages and if you got what it takes to be an entrepreneur. Sounds familiar? These are words our parents and teachers are telling us to pursue and get that college degree. This is how we Filipinos are trained. We are groomed to become employees. We study, get a diploma and hoping to get a high paying job which will allow us to live the lifestyle that we are dreaming of. However, after spending a lot of years on school, we land our very first job and later on feel tired of being tired. Most of the time, our salaries couldn’t give us the lifestyle we desire for our family. Are you tired living paycheck to paycheck? Working overtime but still couldn’t make both ends meet? Tired of your bossy boss? Then, being an entrepreneur could be something that you would love doing. Let’s define entrepreneurship first. It’s the act of providing products and services in exchange for profit. Providing jobs instead of applying for jobs. Being your own boss instead of following a boss. Do you have what it takes to be an entrepreneur? You have two options to start your entrepreneurial journey. Let’s start! Option 1: Build your own traditional business. In the Philippines, offline is still king. Filipinos are more inclined into building traditional businesses like food carts, franchising businesses, restaurants and apparel among others. These are good ideas if you are looking towards managing your own business full-time. This is a growing industry in the Philippines. If you wanted to build your business at home, this is something that may interest you. You can start by selling your own digital products like ebooks, courses and softwares. Being a full-time entrepreneur is not an easy task. It means being on your own now. Say goodbye to your employment benefits like 13th-month pay, vacation, and sick leaves. But then again, you’re exchanging those for the possibility to earn more and provide more to your family. If you want to pursue entrepreneurship, let me just give you a heads up on what you’re giving up and what you’re getting in exchange. Since you will be the provider of the service or products, you have more opportunities to earn more. The more products you sell, the more profit you have, thus, more income for you and for your family. For most Filipinos, this is the very reason why some would want to venture into entrepreneurship. This is something that our work schedule couldn’t give us. In our day job, we have to work 8 hours a day or more. We rely on leave approvals to be able to attend to family gatherings or emergencies. If you are an entrepreneur, then you can have time freedom as well. You’ll have the ability to decide on your own whether you’ll work or not. It’s up to you when to clock in or when to clock out. You’ll be able to spend more time with your family. What’s your dream lifestyle? Do you want to go on trips locally and internationally together with your family members? Or do you want to have a two-story house? How about a car? Sadly to say, no matter how much you work hard in your current job, you won’t be able to make as much to be able to do everything that you want for yourself or for your family. If you are tired of the routinary workload preventing you to unleash your self-creativity and the corporate politics, then entrepreneurship can give you the ability to work on your own terms. You can focus your energy on creating something that would give you fulfillment, something you can say your own. If you are a startup entrepreneur, building your own business may take a long time process. If you are building a traditional business, you still need to accomplish permits and other required documents. The same goes for an online business, it will take time for you to build your credibility and authority. Aside from that though, you should also build trust with your chosen audience because unlike with a traditional business where they come interact physically, for an online business it’s not the same case. If you’re an employee, you’re being paid based on the number of hours worked. After two weeks of working, you have a guaranteed paycheck. However, if you are an entrepreneur, your income will be based on the number of sales you can make. At the very start, you may find it tough. You are not guaranteed to get returns on your investment. It would solely be based whether your products or services stand out from the competition. But hey, look at the brighter side. If you are able to fully manage your business efficiently, you won’t need to work that much in the future. If you are an employee, then your investment would be your time and effort in exchange for your salary. To become an entrepreneur, you would need to put up some capital to get started. It could be both monetary and non-monetary. It involves your ideas and the tools that you would use to keep your business running. Entrepreneurship is not an easy process, but let me ask you this, would you rather work for 40 years and have difficulty in meeting both ends than to build your business in 10 years or less and live your desired lifestyle? The choice is yours. For most Filipinos, the idea of entrepreneurship is s very risky, but then again, why not build a side business while still employed? Does that makes sense?